My quilts are a mix of traditional and art quilting techniques. I love color. My designs are often inspired by the beauty of nature and the changing seasons. I like to use shapes from nature and play with them, experimenting with color and texture. Sometimes designs come from the fabrics I find and sometimes from just an idea, what would happen if I did...? I enjoy learning new ways of doing things and changing things from what they were before. 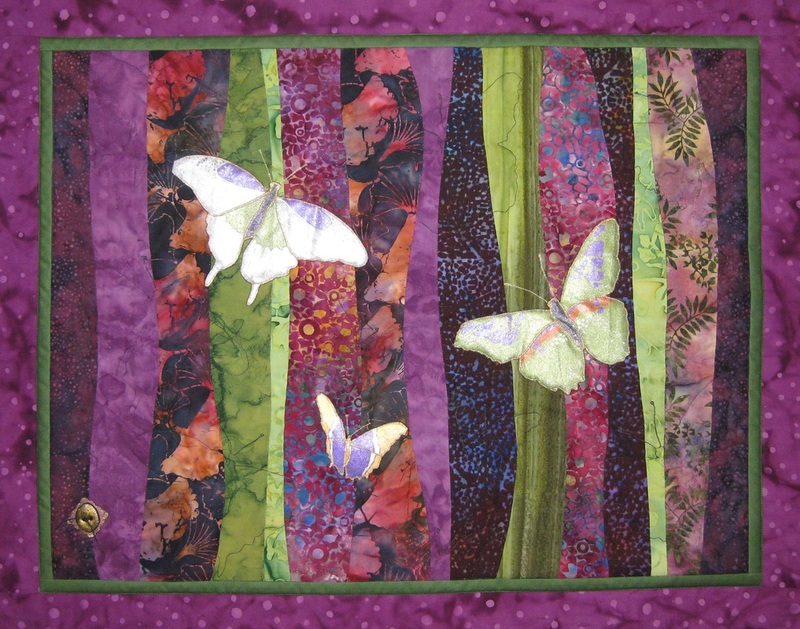 Quilts are my passion, joy and connection to the creative spirit in all of us. She's Always Liked Cats 18" x 22" collection of the artist. Design from an old photo, age 18 months. Custom work available from your photo. 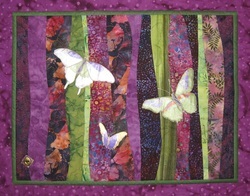 If you are interested in purchasing a quilt please contact Barbara for availability and shipping costs. Inquiries for custom work are always welcome. postcards, fabric bookmarks, and fabric jewelry. All images on this site are protected by copyright law and no image may be reproduced without permission.